Have you ever heard of Krill oil? If the answer is not – you should definitely check it out. So here’s all you need to know about Krill oil & arthritis – but first, let’s see what’s so special inside it. The already-famous Krill oil is extracted from Euphausia superba – a species of Antarctic krill. The fatty acids are similar to the ones from fish oil. Now – I will not enter any particulars here, since it’s not very relevant. But these 2 substances are the major compounds of Krill oil. So it’s them that are responsible for how it works. Now that you know what it contains – it’s time to find out the benefits and downsides of using Krill oil for arthritis. Now – Krill oil doesn’t contain regular Omega 3 Acids. Now – there aren’t a lot of studies on Krill oil at this point. But the results we have look really promising. That’s why Krill oil could probably replace fish oil in arthritis products at one point. Since it can decrease inflammation – Krill oil can also relieve the consequent pain. In arthritis, pain is just a consequence of inflammation. So if inflammation decreases – so does the pain. I’ve said enough about Omega 3 Acids – but what is astaxanthin? Well – it’s a pigment with antioxidant proprieties. You can find it mostly in fish, marine and Krill oil. Even though it’s not in a very high quantity – astaxanthin is surely the strongest antioxidant inside Krill oil. To be honest – both Krill and fish oily contain Omega 3 Fatty Acids. Plus – their quantities are similar. However, it seems that Krill oil is a much better source of these fats. Omega 3s from fish oil are stored as triglycerides. The ones from Krill oil can be found as phospholipids. Generally – phospholipids are way easier to absorb by our bodies. That’s because they get directly into the bloodstream. In this way, Krill oil can immediately raise up the level of Omega 3 Acids from your body. On the other hand – it takes a longer time if you use fish oil. So from this point of view, Krill oil has a real benefit for arthritis – since these oils decrease pain and inflammation. As I said – Krill oil works pretty well for inflammation. But arthritis isn’t always caused by inflammation. So what if your have cartilage problems or osteoarthritis? In this case – there’s little to no inflammation. To be honest, Krill oil couldn’t help much in these situations. In other situations – it’s probably not going to do much. So if you’re considering Krill oil, keep this in mind: It only works for inflammatory pain. For any other kind of pain – it’s not going to help a lot. Now – Krill oil has a lot of benefits on paper. But in reality, it’s not a miraculous solution. Besides – it doesn’t work amazing if you use it alone. At least in my case, it never did. So my conclusion on that supplement was that it’s great for general health, but weak for joint pain. For this reason – don’t use Krill oil alone for your arthritis. Despite its benefits, it’s a lot weaker than supplements that are designed for arthritis or joint pain. Truth is – you can’t find Krill oil products so easily. Compared to fish oil – there are much fewer supplements on the market. Now – I’m not arguing about its benefits. But as an arthritis supplement – it’s surely not worth paying so much. It’s not going to work too well alone – so you would have to spend at least an extra $15 for another product. In those situations, Krill oil may not even help at all. 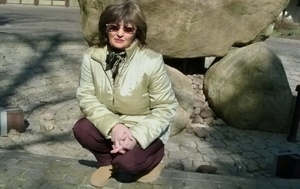 As I said – it’s a pretty weak remedy for arthritis, from what I’ve seen. It does work – but it takes a couple of weeks until you start seeing any small effect. And in my opinion, that’s a bit too much. So keep this in mind before you try Krill oil – it might be effective, but it might also not work for you. My Verdict – Is Krill Oil Good For Arthritis? So overall – Krill oil has some real benefits for joint pain. But at this point, it’s still studied a lot. That’s why you can’t find hundreds of brands selling it – which makes it pretty expensive. 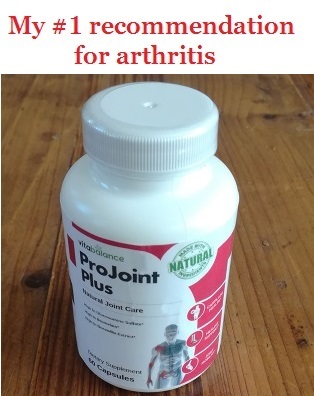 For this reason, I don’t think it’s worth buying for arthritis. You can buy a supplement that works much better alone for about the same money. So that’s what I would do instead.